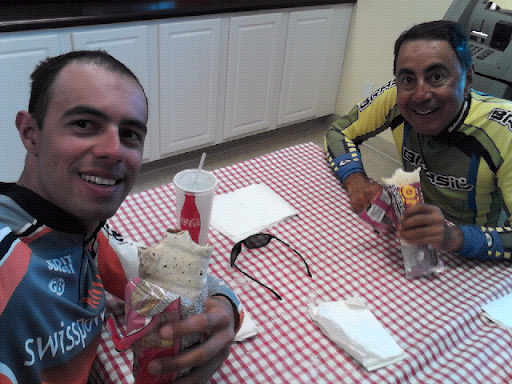 USA on a Bicycle: Lunch time! We found a gas station 60 miles from Vegas and are now having lunch! This is an awesome place to rest!